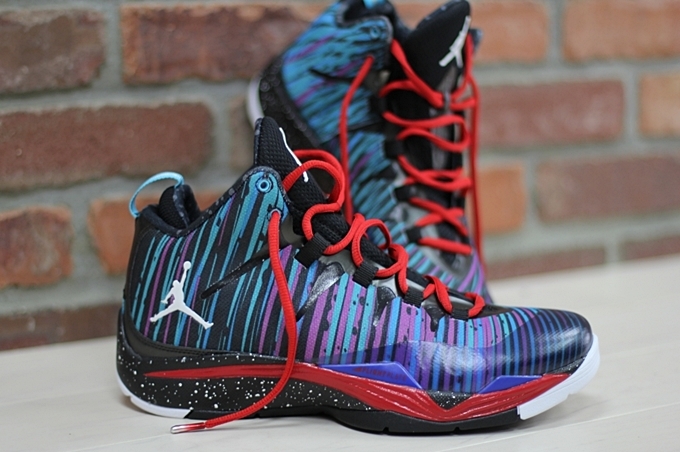 The Jordan Super.Fly 2 will finally hit the market and it is expected to debut with a bang. This newest model from Jordan Brand will finally hit the market in a “Supernova” edition that features a very unique design throughout the upper part of the kick. Officially listed as the Black/White-Game Royal-Sport Red, this will be available for just $130 per pair. Words suggest that this will be released on a limited basis so grab your own pair as soon as it hits the market later today. Watch out for it!